Sharpen your Wits, A hidden gem inside The Cosmopolitan of Las Vegas where cuts and cocktails come together. 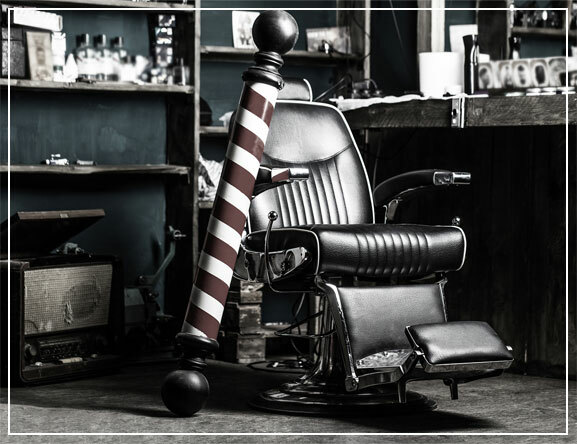 The Barbershop basks the feel of your grandfathers honing company but with a dodgy twist. Come in for a cut or straight razor shave from some of the areas most renowned barbers. Lurking behind the unassuming janitor door awaits a prohibition style parlor with a nod to the great whiskey bars of the world. Furnished with swanky couches and rich finishes your barmaid awaits your order from craft beers to three fingers of whiskey. The Barbershop is a throwback to a time when whiskey and liquor were king, and word of mouth was gold. Las Vegas is a city that is known for its incredible ability to reinvent itself. And now, the latest wave of innovation is actually a nod to the past. That’s right: the hottest new bar in town is a #throwback to a time when whiskey and liquor were king: the Prohibition era. True, it’s been a very long time since Prohibition was overthrown, but the spirit of the speakeasy is alive and well in Las Vegas’s hottest new concept bar, The Barbershop. This isn’t your great grandma’s prohibition bar: The Barbershop is a concept bar that combines equal parts form and function. On the one hand, an unassuming secret entryway leads you to a hidden “barbershop” bar. Yet when you enter, you’ll discover that it’s not just free flowing booze from a false front. It’s a functioning barbershop, too! Yes indeed: that means you can get cut, styled, or shaved while enjoying a delicious cocktail in hand. You’ve never been to a bar like this! Back up a second. What’s a speakeasy? If you’ve heard the word but don’t quite know what it means, let’s get you educated. During the Prohibition era (around 1920-1933, though the dates differed in some states), the selling and manufacturing of alcohol was prohibited in the United States. But that didn’t stop the masses from having a good time! A speakeasy was an illegal establishment where alcoholic beverages could be purchased. While speakeasies largely disappeared after Prohibition, the concept has retained an allure over the years, and plenty of retro-style bars have adopted the concept. In the 1820s, the British phrase “speak softly shop” was used to describe a smuggler’s house. This phrase is said to have led to a similar phrase, “speak easy shop”, which was used to describe a place where liquor was sold illegally. The idea was that to keep from attracting attention, customers should “speak easy” or keep the noise down. Eventually, “speak easy shop” was shortened to “speakeasy”. The term was first adopted in the United States in the late 1800s to describe unlicensed saloons, and then was later used to describe illegal bars during Prohibition. Speakeasy wasn’t the only name used to describe such establishments: they were also referred to by alternate names including “blind big” and “blind tiger”. These cheaky names refer to a common method of receiving payment for entry and creating a legal loophole for their establishment. The proprietor might charge customers a fee to see an animal attraction (say, a pig or tiger) and then serve “complimentary” drinks as a way around the laws. While very much illegal, speakeasies were extremely popular during the Prohibition era. There is a strong association with organized crime and speakeasies due to the fact that shady characters were frequently involved in the transport and production of booze during these years. Interestingly, one of the benefits of the speakeasy was that it brought people together in unexpected ways. People of all races, genders, ages, and classes would meet and mingle at the speakeasy, united in a little harmless lawlessness. During the Prohibition era, alcohol wasn’t always of the highest quality due to production having to be done on the sly. However, because clever bartenders wanted to cover up the flavor of the often very bracing moonshine-like liquor during this era, it gave rise to a new era of cocktails where mixers were added to make the drinks more palatable. The Brandy Alexander is a great example of a classic cocktail from the Prohibition era. Made with cognac, crème de cacao, nutmeg, and cream, it was a tipsy potable that relied on spice and cream to soften the harsh-tasting liquors of the era. Of course, classic cocktails from that era are even more delicious today when they’re made with high quality spirits! As you might imagine, speakeasies couldn’t very well put a sign outside reading “Illegal Bar”. They had to cleverly cover up their illegal activities, and often relied on false fronts. It wouldn’t be unusual, for instance, for an establishment like a barbershop to have a secret room in the back where they sold liquor on the sly. Now that you understand the concept of speakeasies and how they evolved, let’s talk about Las Vegas’s latest Prohibition era-inspired speakeasy: The Barbershop Cuts and Cocktails! Already considered The Cosmopolitan’s secret gem, The Barbershop cleverly incorporates the style and nostalgia of the Prohibition era, but with a few twists of its own. In true Prohibition fashion, the entry is elusive and secretive. You enter the establishment through an unassuming janitor door, gaining entry into a gorgeously appointed parlor that’s decked out in 1920s-inspired barbershop decor but with luxe modern touches, including comfortable sofas and rich detailing. It’s part Prohibition, part retro barbershop, part modern, and also offers a nod to some of the world’s greatest whiskey bars. Unlike an old-time speakeasy, The Barbershop isn’t just a false front. In addition to being an upscale authentic bar, it’s also a functioning barbershop. That means you can get an amazing cut or straight razor shave from some of the area’s best barbers. The Barbershop offers novelty, yes, but plenty of substance too. As you enjoy your cut or shave, feast your taste buds on a delicious drink. Whether it’s craft beer, a cocktail, or three fingers of whiskey you’re craving, our skilled bartenders are ready and waiting. The Barbershop offers the opportunity to travel back in time to a simpler era, but with higher quality alcohol than the prohibition era and enough modern touches to make you feel at home. Conclusion: The Barbershop is an exciting new Prohibition era-inspired establishment in Las Vegas that offers an experience unlike any other bar you’ve visited. Part speakeasy, part barbershop, it’s the perfect place to feel good and look good as you enjoy a cocktail along with a cut or shave! In a town like Las Vegas, it takes a very special concept to get people’s attention, but this speakeasy is already the talk of the town! We hope to see you soon. Have you ever visited a speakeasy-style bar?